Follow the trials and tribulations of Greg and his best friend Rowley as they try to be more popular at a new school where the other children are all bigger and meaner than them. Recorded in his diary with comic pictures and his very own words, this test of Greg and Rowley's friendship unfolds with hilarious results. 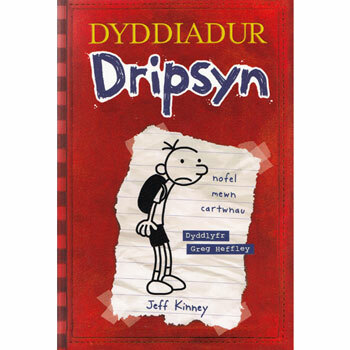 Dyddiadur Dripsyn is written entirely in Welsh as it is aimed at native Welsh speakers.